Pasteurized Whole Goat Milk, *(Ash), *[Thyme, Rosemary, Sage, Black Pepper], Salt, Microbial Enzyme (rennet), Bacterial Cultures, Penicillium Candidum. 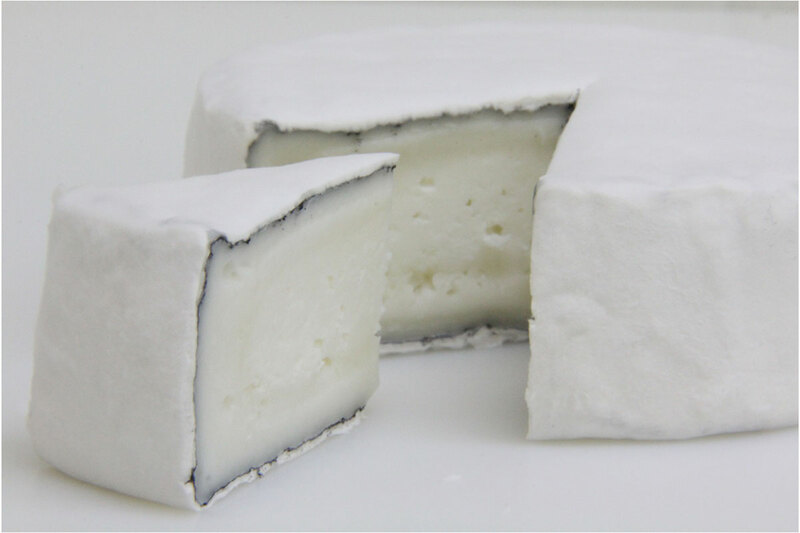 A cooked-curd bloomy-rind cheese, ripened a minimum of 21 days. 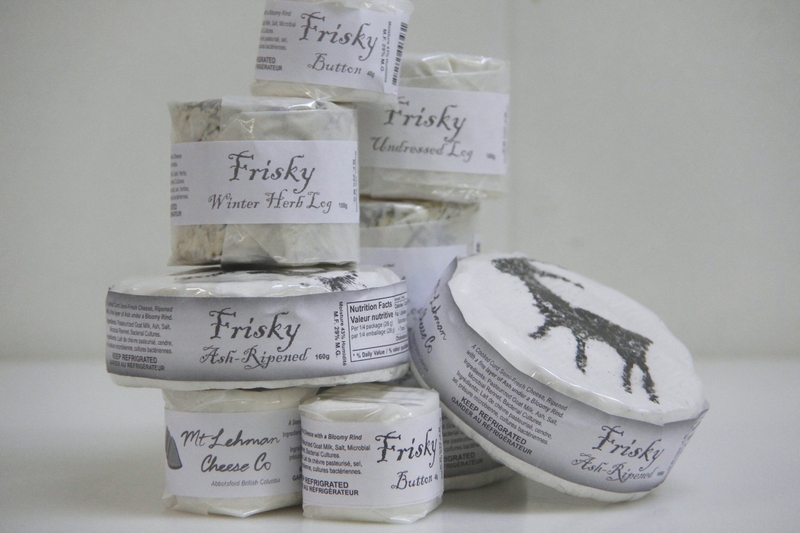 Our Frisky is named after our first “Momma Goat” back in the ’80’s, who shared the same name. 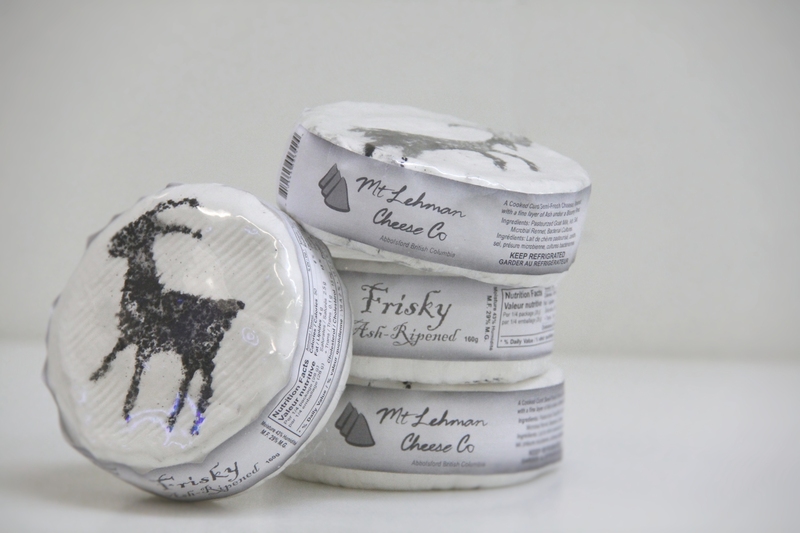 Ash: 180g – Ripened with a fine layer of ash under a bloomy rind. Winter Herb Log: 100g – Dressed in Organic Herbs; Rosemary, Thyme, Sage and Cracked Black Pepper. Undressed Log: 100g – As the Name suggests, Just the natural Camemberti coat, no ash no herbs. 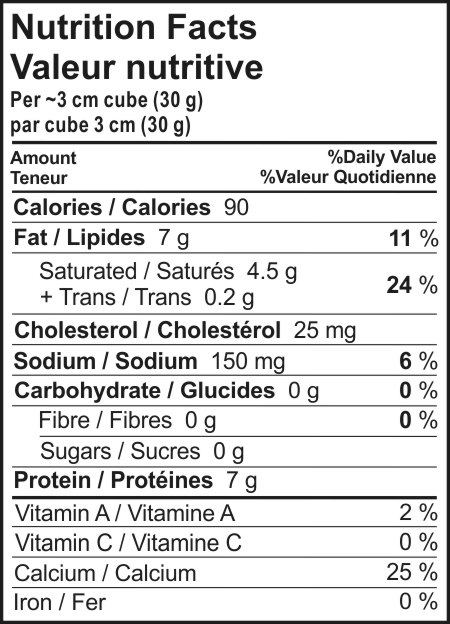 Button: 40-50g personal aperitif size. Heart: 50g – Small heart finished with Rose Petals. For those special occasions. Large Ash: ~800 gram version. contact us direct to place an order 4 weeks in advance.